Parties to litigation often experience it as an exceptionally stressful and even exasperating experience. Litigation has the potential to tax not just the parties’ time, but their financial and emotional resources. Even nominal business disputes have a human component, because business is fundamentally conducted between people. There’s an almost irony in how individuals, exceptionally gifted in business, shed their sensible judgment and insight, cornerstones of what led to their success in the first instance, at the threshold of litigation. There are any number of reasons for this shift away from rational business judgment. Unrealistic expectations are often to blame. Portrayals of attorneys and disputes in consumer-media are part of the problem. So often complex civil and even criminal matters arise, unfold, and are resolved on television in the span of an hour or less. The neatly packaged and gratifying outcomes portrayed, though often unknown to the lay observer, embrace suppositions which frequently defy the rules of evidence and employ modalities that defy the ethical precepts which govern the adjudication of matters. In short, most cases do not and cannot be handled in the manner depicted on television. Attorneys often receive new matters through word-ofmouth referrals. A client can bestow no higher compliment on an attorney than to return with their own business or recommend their counsel to a loved one, friend, or trusted business associate. But even well-founded referrals to wellregarded attorneys can carry unrealistic expectations and with it, a shift away from rational business judgment. Litigation is by its very nature, peculiarly fact intensive. A subtle shift in the facts from one matter to the next may dictate an entirely different outcome. And so, while an attorney may have been able to work what seems like a feat of magic in one case— for example, quickly disposing of a claim with little or no discovery and a small fee—nothing guarantees that outcome in successive actions. Even on what seems like an identical set of facts, a different outcome may result with a more skilled, better-represented opponent or a change in judge, who interprets the application of the law to the facts differently than the first. Much like financial counsellors often advise, past success does not guarantee a future outcome. An attorney can do everything right, and still, a matter may drag on, with costs continuing to accumulate. And then, the “reptile” brain can be partly to blame. Parties to litigation often experience what they perceive as a very palpable threat to their well-being, triggering primal feelings of both anger and fear. Anger at being drawn into litigation often inspires parties to yearn to witness the quick and complete decimation of their adversary, in a public and even humiliating way. They want to be vindicated, to know that in the circles within which they travel, and maybe even beyond, their opponent is a bad actor, unsavory, and not to be trusted. That anger is often coupled with a good bit of fear. Fear of financial loss—both in the consumption of resources through litigation and the potential loss of resources through an adverse judgment—and fear of esteem or prestige. Indeed, parties to litigation often feel as though they are on stage before the community in which they operate. They feel their standing, their reputation in that community, is at stake. Sometimes, they are quite right; other times, matters are tempests in a tea-pot, but a party may still experience them as a major storm. Despite all the angst that litigation can entail, the shocking reality is that most cases, even as many as 90 percent or more, will settle. Cases settle for a wide variety of reasons. One, is the mitigation of risk—trading an unknown outcome for a stipulated one. Another is simple business realities. A party may not have the resources to fight a contested matter or a party may settle a matter to avoid drawing valuable business contacts, such as vendors or customers, into the dispute. Yet another reason that cases may settle is this: Litigation most often finds its genesis in a breakdown of communication between the litigants. Sometimes, through the efforts of counsel, or a mediator, or the court, the parties’ dialogue can be restored to a normalcy that allows for expression of a sensible, realistic dialogue and the exercise of rational business judgment. Sadly, however, many cases persist for months or years, consuming time and resources, before parties are willing to embrace a settlement dialogue from that perspective. 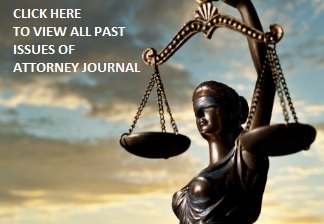 Good attorneys, based on their knowledge and experience, can help frame the expectations of their clients in terms of understanding the litigation process, the ark of time and costs consumed as the case proceeds, and what the outer bounds and more likely outcomes of the process will be if proceeding to conclusion. But attorneys are more than just advocates; they are counselors at law. In this role attorneys regularly find themselves as sounding boards, and also, the soft voice urging reason and a return to rational business judgment. Yet, attorneys can only act within the scope of authority conferred on them by their clients in the settlement process, and so, ultimately, the client must make the decision to embrace the settlement posture that will best serve them. In circles which embrace yoga as a practice, beyond the physical, one is likely to hear talk of the Eight Limbs or Eight Petals of yoga. They are generally set forth in Patanjali’s Yoga Sutras, an ancient text, which across nearly two-hundred small verses, sets forth a path for liberation of the mind and achievement of a state of bliss. However, the concepts set forth across the Yoga Sutras need not be embraced entirely or in any spiritual sense for them to have utility in everyday affairs including litigation and the resolution of disputes. One of the Eight Petals includes what is known as the Yamas. Yamas are themselves a code of personal conduct, and among them is Ahimsa or non-violence. Ahimsa is often thought of as nonviolence towards others, but it can also be conceptualized as non-violence towards one’s self. Ahimsa is a concept which often finds application in litigation, but sadly, only after the parties have battered themselves both emotionally and financially through extensive litigation. Ahimsa tends to manifest just before parties reach a settlement. Sometimes it’s one-sided. Sometimes it’s mutual. Ahimsa shows itself when a party steps back from the fray of litigation and determines that the costs and potential costs of time and financial and emotional resources are causing it more harm than extending or accepting an ovation at accord. So often, and tragically, parties only arrive at this place after they’ve “had enough.” They have grown frustrated or even exhausted with directing facilities ordinarily dedicated to business growth, to gathering documents in response to discovery demands, to court appearances, or to paying attorneys’ fees and related expenses—even for work that is well done and necessary for the advancement of the party’s position. Knowing that the super-majority of all cases settle, parties should consider embracing the concept of Ahimsa early in the litigation process and even before the institution of formal proceedings, where communication is likely easiest and most likely to ward off future costs. By exploring how the party can best serve itself, that is, not harm itself—by acting as a rational business actor and not from a place of anger or fear— considerable personal and financial resources can be saved. Embracing and then communicating a sensible settlement offer which serves a party’s interests under the circumstances and early in the process, is not a sign of weakness; capable counsel can help articulate an ovation at settlement to set the right tone. While it ultimately takes two to reach an accord, a party that litigates and looks for resolution within the construct of Ahimsa will more readily perceive opportunities at accord. Furthermore, settlement offers which are expressed with Ahimsa in mind are more likely to convey the sensibility of the party extending the offer. Not surprisingly, rational settlement offers lead to rational counter-offers, sparking productive dialogues, often culminating in settlement. While business disputes are inevitable, the suffering that often goes with them is not. Embracing Ahimsa early and throughout the process can help parties achieve the efficient and sometimes even speedy resolution of matters. About the Author: Joshua L. Kirsch is an attorney and member at Eckert Seamans Cherin & Mellott in Philadelphia. He is a seasoned litigator and regularly handles commercial litigation matters, intellectual property disputes, and the defense of professionals in the legal and medical communities. Joshua holds a Yoga Alliance RYT-200 certification and teaches in the Philadelphia area.